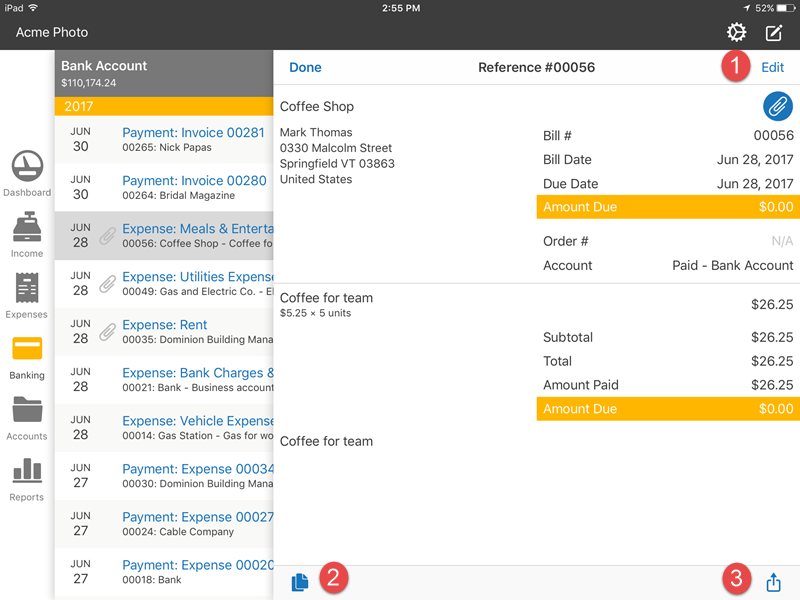 Learn about the Banking section in the iPad app. 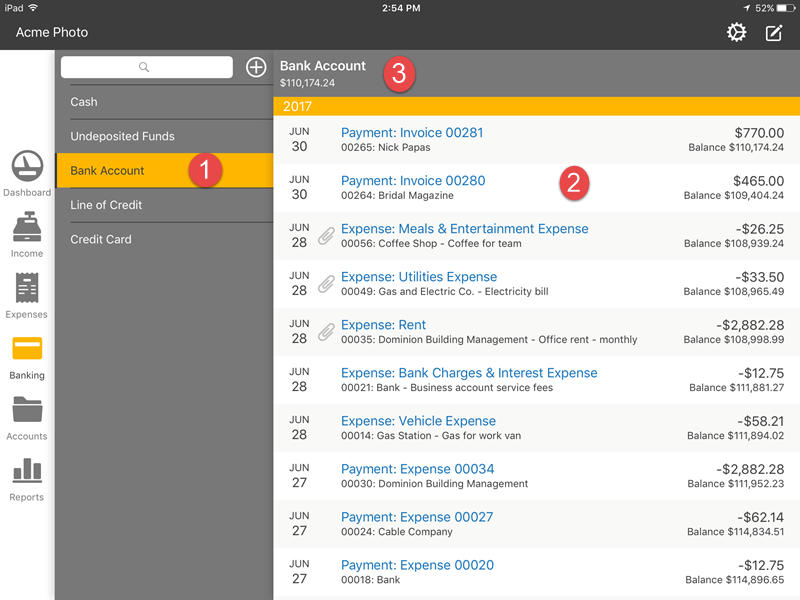 The Banking section can be accessed by tapping on the Banking from the list view. 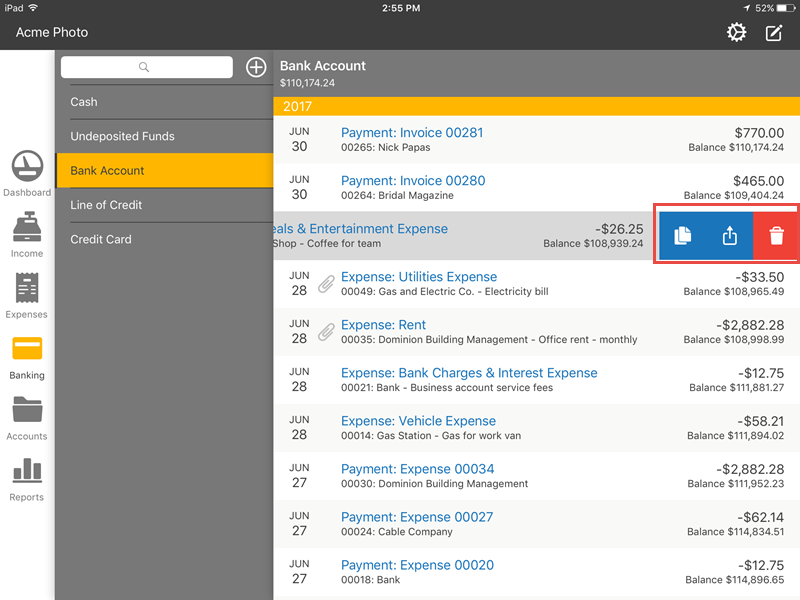 If you want to duplicate or share the transaction you can do that by swiping left on the transaction in the transaction view.